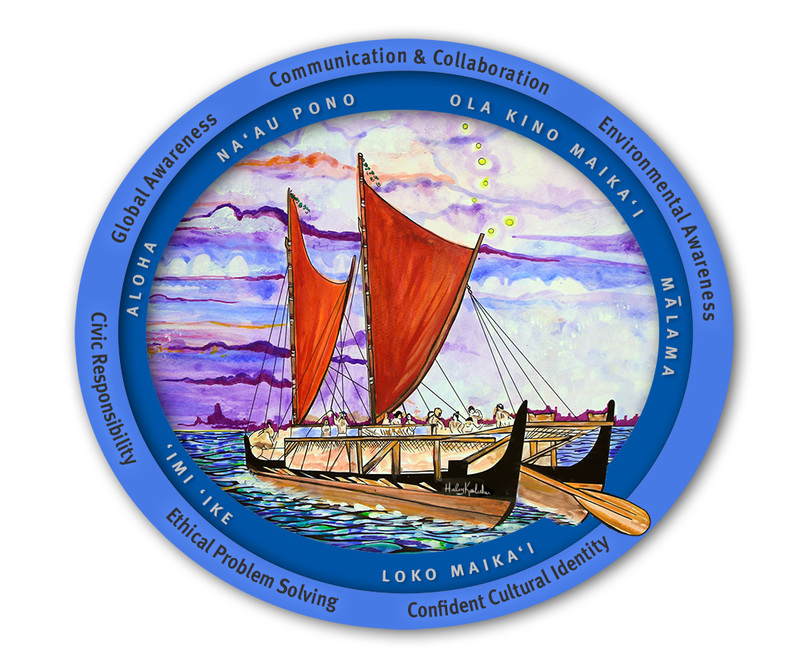 Our founders, Nainoa Thompson and Robert Witt envisioned a school whose mission was to create leaders who embodied the attributes of The Mind of the Navigator and the values of the World Wide Voyage. Developing of the Mind of the Navigator will be achieved through place based, project based authentic learning experiences. Guided by our Core Values and keeping students at the core of our decision-making, we strive to develop learners who can set, plot, and successfully navigate the many voyages they will have in life while being grounded and confident in their cultural identity. We want our learners to persevere and know that if they take a wrong turn, they can right their waʻa and accomplish what they set out to do. We prioritize ʻohana and community involvement and strive to create a school where as a “village” we lead, learn and act with compassion, continuously educating our selves while facilitating the education of our keiki.